Welcome back to our blog “Hammersmith Reflections” where our Trustees share with us their thoughts about Hammersmith United Charities and our local area. 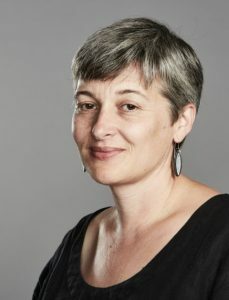 This time we have a special guest writing for us: Sian Alexander, Chief Executive of the Lyric Hammersmith. Keep on reading to find out more about the Lyric, what they do and their role as an organisation at the heart of Hammersmith. The Lyric has an extraordinary history in Hammersmith. There’s been a theatre on this site for more than 120 years – not quite as long as Hammersmith United Charities – but plenty long enough to be firmly rooted in our local community. Forty-five years ago, the Lyric was threatened with demolition to make way for a new shopping and housing complex. There was a huge public outcry and, at the eleventh hour, the local council decreed that the Lyric’s exquisite Matcham plasterwork auditorium would have to be preserved and painstakingly reconstructed in a new theatre above the Kings Mall Shopping Centre, where the theatre stands today: a Victorian auditorium above a 1970s shopping centre and now with a state-of-the art 21st Century extension on the side. So we owe our very existence to the people of Hammersmith, and it’s this history that gives the Lyric such a strong sense of community ownership. In response to this, we feel a real responsibility to play a leading civic role locally, opening up the arts and creativity to all, and ensuring the Lyric fulfils its obligation to be an iconic cultural hub for west London. It’s three years since we reopened with our Reuben Foundation Wing extension which houses new education and creative spaces. Working with our 9 partner organisations here at the Lyric – DanceWest, TriBorough Music Hub, Action on Disability, Amici, Musiko Musika, New English Ballet Theatre, TEAfilms, Turtle Key Arts and Zoonation – we run an extensive programme of creative classes and activities, after school and in the holidays with over 40,000 attendances by young people age 0 – 25 in the last year alone. We know that 40% of young people attending come from Hammersmith and Fulham and more than 80% from the west London area. We also work with local schools, providing artists in residence, teacher training and networks, and opening our spaces for workshops and performances. Inclusivity is very important to us and we pride ourselves on being a warm, open and inclusive space in Hammersmith. We run a wide range of pioneering programmes to ensure that the arts are open to all young people including those who are marginalised in some way. This includes those who are not in education, employment or training; those who are in care; who are disabled; who are newly arrived; or in the criminal justice system. A brilliant example of this is our Journeys company of disabled and non-disabled performers who recently performed in our Evolution Festival of young artists, with the support of Hammersmith United Charities. As Chief Executive of the Lyric Hammersmith I see first hand every day the power of the arts to change lives. We are passionate about making sure that young people from all walks of life have the opportunity to explore and express their creativity, developing essential life skills such as confidence, team work and self esteem along the way. But we’re also here for them if they discover a real talent and ambition to forge a career in the creative industries. We can help them find pathways into further training or employment and we provide a platform for young artists to make and share their work. The creative industries, after all, are one of the fastest growing employment sectors in the UK. But if the Lyric is at the heart of Hammersmith, at the heart of the Lyric is our beautiful auditorium. We are very proud to be one of the UK’s leading producing theatres with an award-winning programme that has everything from bold and adventurous contemporary theatre to big musicals to London’s best panto. Oh yes we do! 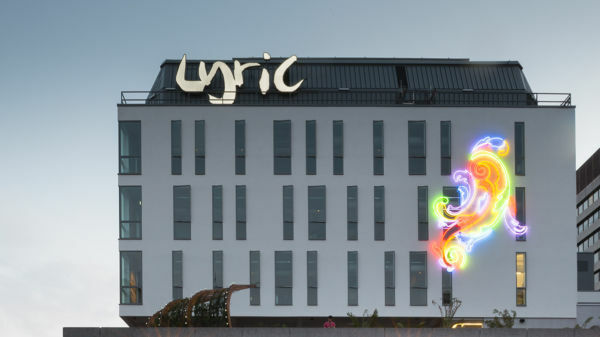 If you haven’t been to the Lyric before or would like to try something new, why not sign up for Free First Night? Every year we give around 2500 free first night tickets to people who live or work in Hammersmith or Fulham, many of whom haven’t been to the theatre before. The Lyric is a charity, and grateful for the support of enlightened funders like Hammersmith United Charities. We’re also grateful for the support of the people of Hammersmith – by buying tickets, hiring our spaces and eating and drinking in our bar, restaurant and café you are contributing to all our work on and off stage and helping to ensure that the Lyric is a vibrant community resource for at least another 120 years in the future. I hope to welcome you to the Lyric soon.